Dedicated to a renaissance of the decorative arts, HMS Studio offers hand-drawn objects of exquisite beauty and craftsmanship, imbued with modern vitality. 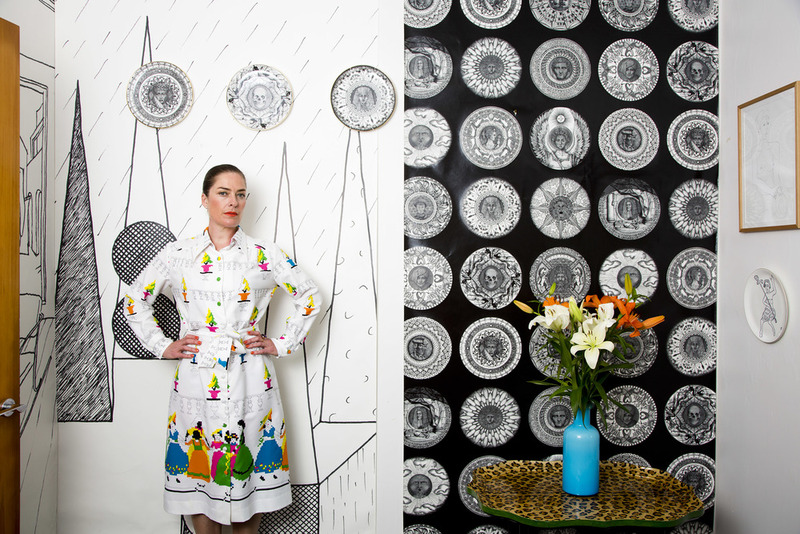 Designer Helen M. Strevens pays homage to Ruskin, Morris, and Bauhaus with graphic illustrations that explore spacial ambiguity, surrealism and humour, realised on fine-bone china plates, cushions and striking wall coverings. HMS Studio is committed to supporting the traditional fine-bone china industry. The china plates are hand-gilded and produced with the greatest care in Staffordshire, England, by craftspeople whose skills have been passed down the family line. The intention is always for the work to hold ethical integrity, be of the highest quality, and to sustain a sense of timelessness that will be treasured for generations to come. HMS Studio’s wallpaper is sold through Tektura Wallcoverings in the UK. Helen M. Strevens is available for private commissions.